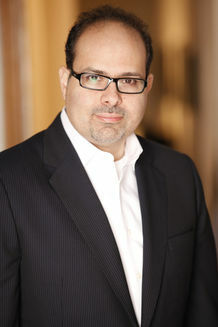 Abed Awad is an attorney and Adjunct Professor at Rutgers University Law School. Awad is a national expert in Islamic law and the laws of Muslim countries. He has published extensively in various publications, and he has more than 200 television and radio appearances as a political and/or legal commentator for numerous media outlets, including The New York Times, ABC, CNN, Al-Jazeera, the BBC, and NPR, among others. Q1: How would you define Sharia and how would you define Sharia Law? There is no such thing as Sharia law. The Sharia is the moral code or guide founded on the principles of the Quran and the example of the Prophet Muhammad. Sharia is more than law in the prescriptive sense. It is also the methodology to ascertain or find God's moral guide to ethical living. In Sunni jurisprudence, there is no monopoly over the interpretation of divine will or an ecclesiastical hierarchy. This search for God's moral guidance is a process in constant evolution. The diversity of the outcomes in this process is not only celebrated but actually enjoys authoritativeness despite differences. For millions of devout Muslims around the world and in the United States, Sharia governs everything from the way they eat to how they treat animals and protect the environment, to how they do business, how they marry, divorce and how their estate is distributed after death and so much more. Sharia is a Muslim's guide to an ethical and moral life. Q2: Are there any instances or cases in the United States when a state enacted anti-Sharia Law legislation and the law interfered with a judge's ability to adjudicate fairly, thus jeopardizing American citizens' civil and constitutional rights? Yes, we have at least one Kansas trial level decision in which the trial judge said he was prohibited from considering Sharia because of the anti-Sharia legislation adopted in Kansas. In Soleimani v. Soleimani, 11 CV 4668 (Kansas Superior Court, 2012), the trial court held that the anti-Sharia ban in Kansas prohibited the court from considering Islamic law in connection with the enforcement of a mahr provision in a Muslim marriage contract. In Soleimani, the parties entered into a Muslim marriage contract in Iran. The contract provided a mahr of gold coins worth in excess of $650,000. In setting up the argument that the anti-Sharia ban applied to this case, the trial court discussed Parikonda v. Pinjari, 2009 WL 930007 *3 (Mich. Ct. App. April 7, 2009). In Parikonda, the appellate court refused to recognize an Indian divorce because according to Islamic law the husband’s invocation of triple talaq results in a summary divorce by stating “I divorce thee,” three times. Referring to Parikonda, the trial Court in Soleimani held that, perpetuating such discrimination under the guise of judicial sensitivity to Establishment Clause prohibitions would, in effect, abdicate the judiciary’s overall constitutional role to protect such fundamental rights, a concern that presumably lead to the recently-enacted House Substitute for Senate Bill No. 79, 2012 KAN. SESS. LAWS, p. 1089, § 4. The Court continued thus, if a premarital agreement in the context of [Kansas Uniform Premarital Agreement Act], was the product of a legal system which is obnoxious to equal rights based on gender, a court could not become a proxy to perpetuating such discrimination. Escaping the common sense of the trial judge was the fact that the Michigan court did not recognize the Indian talaq on public policy grounds. In other words, there was no anti-Sharia ban in Michigan at that time. Obviously, the courts are equipped with the legal tools to determine whether a foreign judgment or law violates American public policy. They do not need an anti-Sharia ban to do their job. In fact, the anti-Sharia ban actually restricts the ability of the courts to adjudicate disputes based on the evidence of a complete record. The irony here is that the anti-Sharia ban prevented a Muslim woman from obtaining relief under her Muslim marriage contract. The actual impact on the civil and constitutional rights of American citizens and legal residents is far more extensive than the Kansas case, and the vast majority of court decisions are not reported—most of them are unreported trial level cases. It will take many years before these unreported trial level cases reach the appellate courts. Even here this does not take into account the litigants that accept unreasonable settlements because of the defense of the anti-Sharia ban. In the next few years, we will start to see the problems and defects of the anti-Sharia legislation come to the surface and start to see the undermining of the civil and constitutional rights of Americans and legal residents. 3a. Successfully fought back against anti-Sharia Law bills and campaigns to prevent these bills from becoming laws? New Jersey defeated a proposed bill, and many other states defeated bills. 3b. Struck-down anti-Sharia Law legislation? Oklahoma struck down an anti-Sharia law. 4Q: How does anti-Sharia Law legislation impact not just Muslims, but other excluded groups, and American society as a whole? The logical conclusion of the anti-Sharia ban will result in prohibiting judges from considering Jewish law, Canon law and other religious laws. The problem is that American law permits courts to consider religious law to the extent it does not violate American public policy and as long as the court is not engaging in doctrinal interpretation. Furthermore, religious law, culture, and custom may be considered by an American court not for purposes of applying religious law but rather as parole evidence to assist the court to better understand the expectations of the parties to a contract or the cultural/religious context to a dispute or to clarify an ambiguity or discover a fraud. I predict that the anti-Sharia bans will be found to be unconstitutional; and, even if such ban would withstand unconstitutional scrutiny, courts will create exceptions to the applicability of the ban that eventually would swallow the rule.